Humanoid robots (including androids), loveable they might be, are a quaint and inaccurate sci-fi portrayal that realistically have a minuscule chance of being economically justifiable before the singularity. Unfortunately, it will be boring robots that will do, and already do, the tasks required of these anthropomorphic idols. In his seminal work, The Caves of Steel, Isaac Asimov posits that humanoid robots were made because they would obviously be suitable to an environment created to suit humans. The reality though is that since intelligent thought need not be tied to a humanoid form, each task can be done by a machine that is specialised to conquer just its relevant environment. One of the required tasks of a complete "personal robot" is to pour coffee for instance, yet there are already coffee "machines" where a button is pushed and the coffee is poured. If there was an arm that moved the tap over the coffee cup, we would suddenly have a "coffee robot". Even better if the arm tilted a jug of coffee. 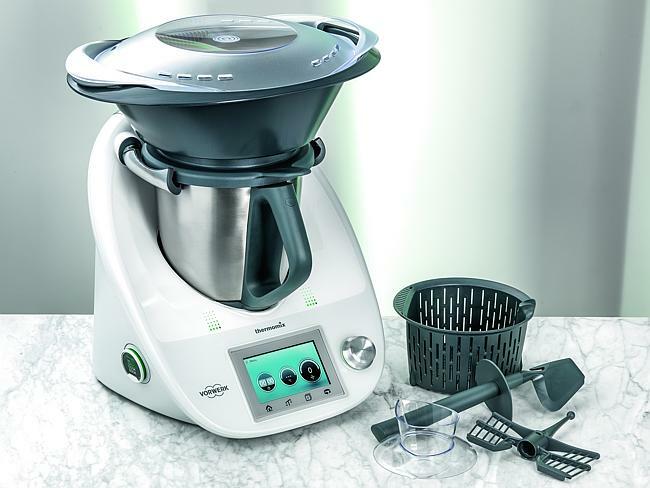 An advanced food processor marketed as Thermomix (a machine) in some countries or as Bimby (a robot) in others. When developing a machine, characterising it as a robot can only lead to disappointment, as users will have expectations akin to a humanoid robot. Characterising it as a machine will lead to lower expectations from users and they will be willing to accommodate its mistakes. While many people might feel indifference, I feel abhorrence to automatic doors mispredicting my movements; self-service checkouts arbitrarily forcing me to place my single item in the bagging area; and car lights that must be explicitly switched off by me when I leave. Customer service is not quite about doing everything the customer wants, but rather, anticipating their needs and satisfying those. As Sun Tzu points out, the supreme art of war is to subdue the enemy before fighting is even necessary. Just as the patron’s wine could be topped up before they ask for more, many household tasks could be done before a humanoid robot is necessary. A robotic dog that falls short of its implied abilities. Source. 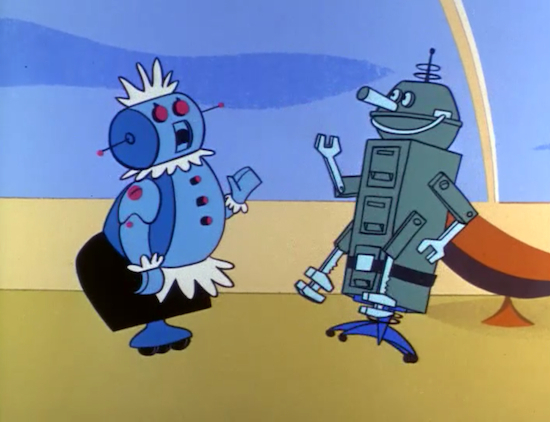 If we had a robotic dog, we wouldn’t need a humanoid robot that cleans up the hair; or buries the corpse when the short-lived creature eventually passes. Being able to better anticipate the problems will prevent challenging, humanoid-resolvable, physical environments from eventuating. Prediction systems could make significant progress in terms of anticipation, by deducing when users want to eat, what they’ll want to eat and what kind of nutrients should be contained. So much food is currently wasted because housewives (or non-sexist equivalent characters) don’t know what food to buy and just make guesses. Expired food and left-overs are symptoms of an inefficient process. In terms of interaction paradigms, the whole idea of a pantry is just the best current way of resolving factors topped by the guesses of the housewife (what food will my dependents and I want to eat in the next few days?) and the guesses of the manufacturers (how much of our product do people want to buy on this occasion?). There are many food and beverage brands that already make containers of different sizes; the required changes in the supply chain would really not need to be much more adaptable than what currently exists. In the extreme case, imagine what would be possible if containers could be ordered from the factory at any size. We would not need a fancy humanoid that carefully measured out 150g of flour from the packet; we could just order a 150g bag from the factory and pour the whole thing into the pan (I’m not a chef). Many humanoid-robot tasks are already being done by smart phones, using their sensors, actuators and brains in a way that technically counts as a robot, but the mobile phone is not regarded as a robot for philosophical reasons. Humanoid robots will only ever be seen applied to problems that could have been “better” solved some other way, but where the stakeholders desire the humanoid form for reasons of empathy, décor, or equivalently, feng shui. A noodle-slicing arm given a humanoid form for no good reason. Source.